Quality landscaping supplies in Kuranda Whether you’re clearing up your garden or planning a full-on landscaping project, we can supply all the landscaping supplies you’re likely to need. From walling and pavers to hardware and raw materials, we have everything that your landscaping project requires in one convenient place. Your concept landscaping supplies experts Kuranda Landscaping Supplies & Raw Materials is a locally based, family-run business servicing landscaping companies and DIY enthusiasts since 2007. We’re North Queensland’s largest concept landscape and raw materials yard, handily located at Myola Road in Kuranda, and we stock everything from pavers and edging to soils, bitumen, and concrete. Our clients come from a wide range of places, such as Koah, Speewah, Mareeba, Smithfield, and Myola, to take advantage of our first-class products and value-for-money prices. Many of our landscaping supplies are packed into easy-to-handle 20kg bags for easy transport, and we stock only materials of the very best quality. 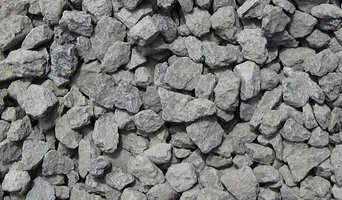 Raw materials With everything from garden mix and soils to aggregates and building sands, Kuranda Landscaping Supplies can provide all the quality raw materials that your project requires. Bagged products Don’t worry if you don’t have access to a ute or a trailer; all of our raw materials are available in easy-to-transport bags for your convenience. With the help of our Searles garden supplement products, you’re sure to have your garden blooming in no time at all. Hardware From home improvements to fencing and paths, we have all the tools and hardware you need to get the job done right. Whether it’s a new shovel or a pound of nails, you’ll find all your landscaping supplies and hardware right here at our Myola Road yard. Most of the professionals in this category specialise in particular garden and landscape supplies for your outdoor space, from planter boxes to water features. If you’re undergoing an upgrade, they are an invaluable source of knowledge and expertise. A Cairns, Queensland professional who specialises in garden pots and planters, for example, will not only have a broad range of product available, but will know their terracotta, ceramic and concrete pots inside-out – and which one will best work for you!